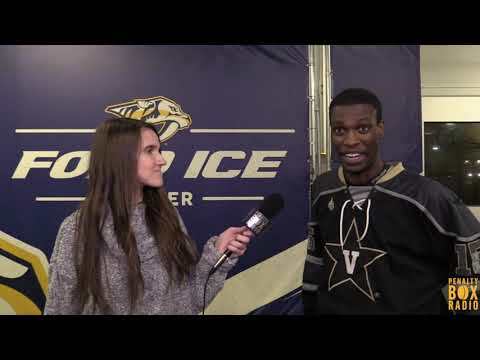 Following their 10-1 win over MTSU, Vanderbilt Club Ice Hockey captain Daniel Huyler spoke with us about the game and the experience. Abigail Martin resides in Kingston Springs, Tennessee. She is an upcoming senior at Harpeth High School. Her love for hockey began once her mom introduced her to the young Nashville Predators team. She attended every game she could and found a passion for hockey. After becoming a season ticket holder, hockey became a part of her life she could not resist. Her obsession for the game and other interests attracted her to sports broadcasting, the career she wishes to pursue after college.